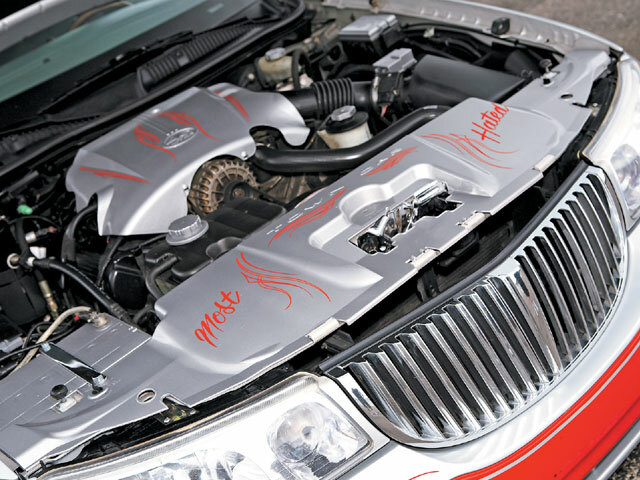 Fabian Knows How To Cut The Competition With His Custom-Built '98 Lincoln Town Car. Keeping the lowrider faith in America’s “heartland” is Fabian Camacho from Greenwood, Missouri, and rolling with Majestics Car Club’s Kansas City chapter. Fabian decided to build an award-winning car after his brother had put together the cleanest ’91 Lincoln Town Car in Kansas City. 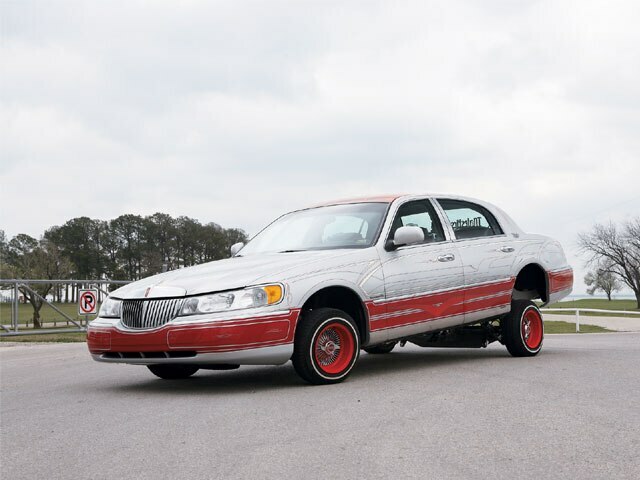 With a little bit of help and motivation from his family, especially his brother Tino, the owner of Street Rider Hydraulics in Independence, Missouri, Fabian decided to build a newer model Lincoln. The search was on to purchase a clean Lincoln that would be a good candidate to build as a show car. Fabian ended up purchasing a ’98 Town Car from a small local dealership. Street Rider Hydraulics is a well-known shop in the area, especially because of their clean hydro setups that gather the attention of local lowrider fanatics. There, the car was stripped and started to take on a new look with custom paint and a stress point wrap. With the car gutted, the interior and the trunk got some extra love from Tino and Fabian, who built an incredible-looking hydraulics setup in the trunk with custom-bent hard-lines and one-of-a-kind engraving. Since its completion, the car has started to get noticed in the Kansas City area. Unfortunately, some people were hating instead of participating in the game of building nice rides, so that’s why the car was dubbed “Most Hated,” so that the haters know that this car was built to turn heads and grab the attention of lowrider fanatics. 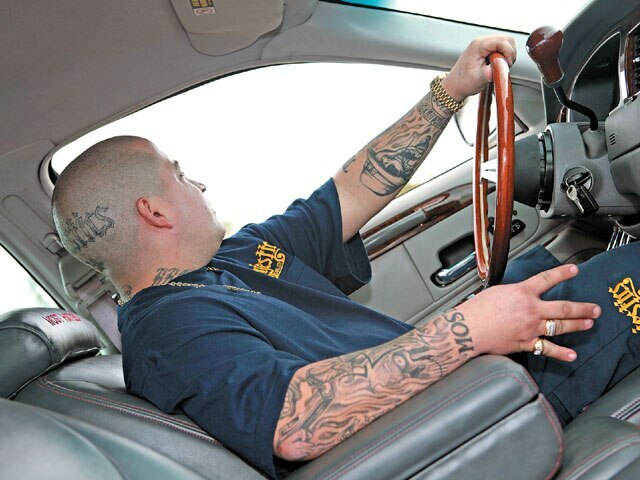 On the subject of lowrider fanatics, Fabian would like to thank his brother Tino for always putting it down for him and his club, plus his wife, Joan, and their three kids Michael, Alyssa and Brooke, as well as his fellow Majestics members for helping him build the cleanest Town Car in town. Engine/Drivetrain: Stock 4.6-liter 302 with custom-painted engine covers and chrome accents. Body/Paint: Tom at Creative Classics in Independence, Missouri, painted the car with PPG silver with custom red patterns on the roof. The car then had some pinstriping done by “Curly” from Long Beach, California, which was then finished off by Eric’s Pinstriping in Kansas City, Missouri. 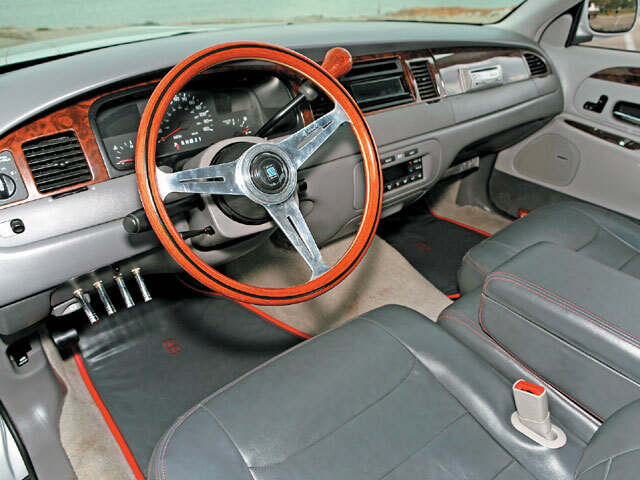 Interior: The car was reupholstered by Shawn’s Interiors in Kansas, City. The “guts” were redone in dark gray and red stitching with custom embroidered Lincoln emblems on the headrests and floor mats. Sound System: Al Stone at Stone Customs in Blue Springs, Missouri, did the audio and video system starting with a Panasonic touch-screen head unit accompanied by two chrome Ample amps, two tweeters, 5.5s in the doors and 6x9s in the rear deck. You can feel the bass with two 12-inch Audiobahn subwoofers mounted in the trunk. 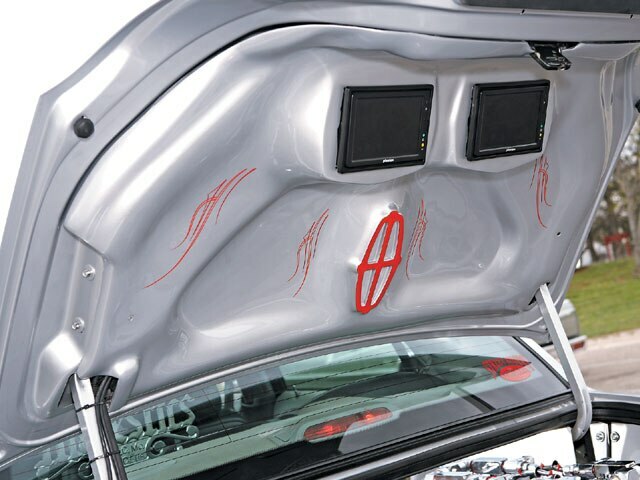 A 7-inch and custom-built 15-inch flip-down monitors can be found inside with two more 7-inchers molded in the trunk. 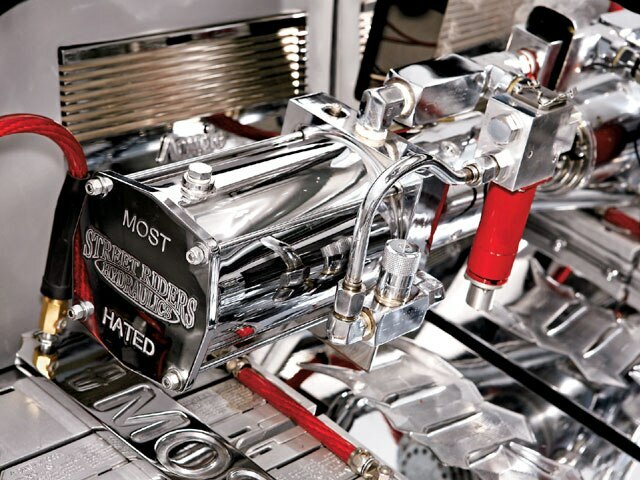 Setup: The trunk setup is visually impressive with custom-bent and chrome plated hard-lines with floating pumps and custom-made engraved battery holders. The setup include two Pro Hopper 1-inch blocks with 8-inch cylinders up front and 10-inchers in the rear. The hydraulic gear also includes Adex dumps, six custom-painted batteries and Pro Hopper blocks. The frame was partially reinforced with extended and molded A-arms and trailing arms. All of the hydraulic work was done by Fabian and Tino at Street Rider Hydraulics in Independence. The pieces needing chrome were sent to Pulido Plating in Balch Springs, Texas, for the finishing touch.